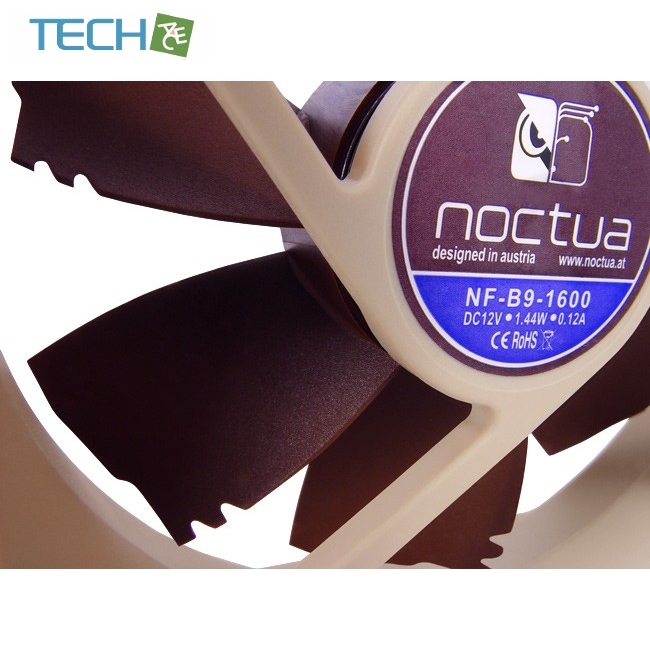 The NF-B9's highly-optimised blade design achieves an exceptional level of airflow and static pressure that most other fans can only reach at much higher speeds. 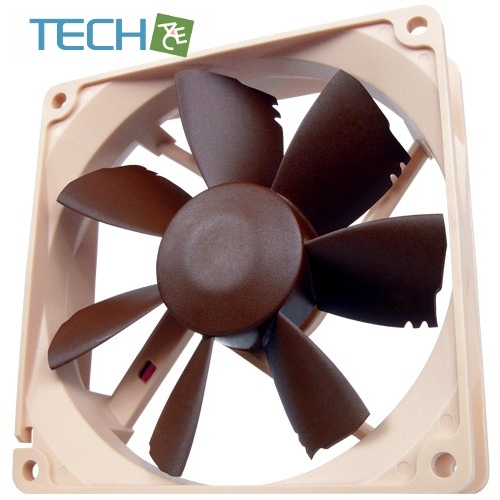 Bevelled blade tips, Vortex-Control Notches as well as Noctua's SCD drive system and premium-grade SSO-Bearing ensure outstanding quietness and long-term stability. 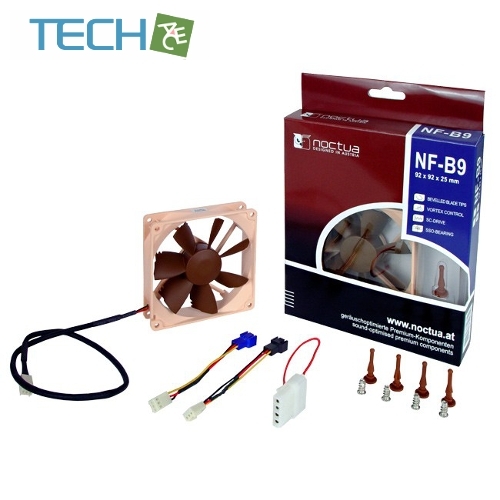 Due to advanced design measures like the bevelled blade tips, the NF-B9 is surprisingly quiet despite its outstanding airflow and pressure performance. 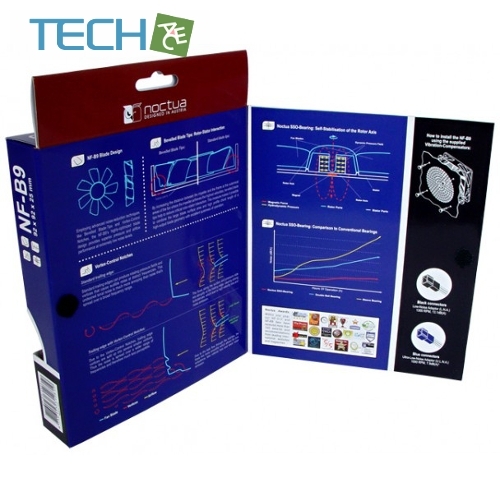 Psychoacoustic optimizations like the Vortex-Control Notches make the NF-B9's noise pattern more pleasant to the human ear. The new SC drive system reduces torque variations and thereby ensures improved running smoothness, particularly at lower speeds.